Atalaya Park Golf Hotel and Resort is a 4-star property located in a beachfront on the coast of Malaga and only 20 minutes drive from Estepona and Marbella. 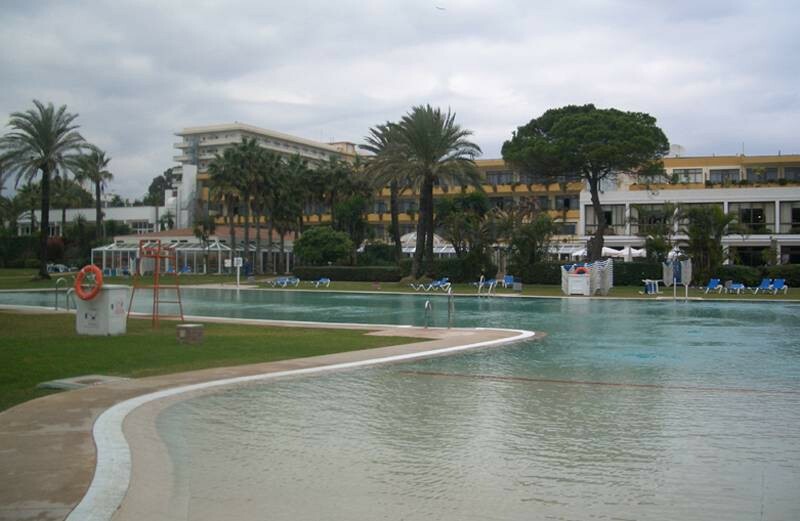 Points of interest such as San Pedro Alcantara and Puerto Banus are only 10 minutes from the hotel. The 450 rooms including the villas, suites and family rooms are equipped with balcony with sea, garden or mountain views, air conditioning, satellite television, mini bar, telephone, hairdryer and private bathroom. A variety of dining options, include international dishes accompanied with Spanish wines, traditional Italian cuisine and international buffet selections with Andalusian theme night. Guests can also enjoy a wide selection of drinks as well as authentic local wines and light snacks at the bars. Wellness and leisure activities include outdoor, indoor and kid’s pools, gym, sauna and Turkish baths. Other sports facilities such as driving range, tennis courts, grass football pitch and volleyball area are also available onsite.